Effective spiral from insects are harmful not only to mosquitoes. In the combustion process, they emit dangerous carcinogens. That is why it is sometimes necessary to turn to a trusted and secure "Babushka" means of salvation from pesky mosquitoes. Is there any harm from electronic cigarettes and what? American scientists have conducted serious studies of a variety of means from mosquitoes. The results were far from expected. So it became clear that the glowing spiral from mosquitoes in the combustion process emit a number of hazardous to the human respiratory system substances. Exposure to these carcinogens increases if you use spirals in closed small spaces. Especially carefully it is necessary to use such funds for the children. A joint study of American and Malaysian scientists showed that in eight hours of burning ordinary green smoldering spiral emit carcinogenic solid particles in the same amounts that a huge number of cigarettes (from seventy-five to one hundred and forty). Therefore, you should not sleep in the room where is used this insecticide. Ideally, these resources should be used to rid the space of the flying guests, and then to repay the helix. Of course, this tool much safer to use outdoors because the amount of carcinogenic particles reaches a critical concentration outside the closed spaces. Advertising convinces consumers that any modern ways to get rid of mosquitoes are completely harmless, do not forget to read the included manual. However, for the health of the family, perhaps you should think about other ways of dealing with blood-sucking parasites. There are many traditional media, known for a long time. Caucasian or Persian Daisy, and pyrethrum affects the nervous cells of almost any insects. Mosquitoes never fly in the room, treated with pyrethrum, at the same time, man this plant can't hurt. There are observations that mosquitoes can not tolerate the smell of the leaves of tomato. To combat them you can put a few pots with sprouts of tomatoes on the window sills. It will not allow the mosquitoes to fly into the room even with open Windows. Steamed with a conventional burner camphor in small quantities will help to clean away insects even a big house. 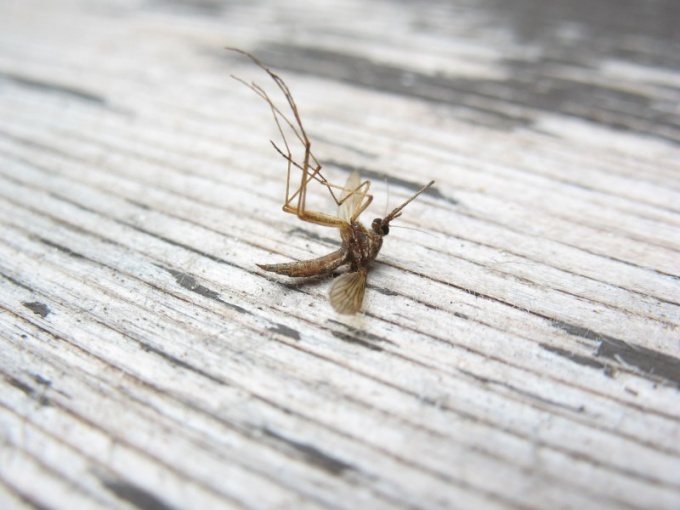 Mosquitoes do not like the smell of Valerian, cedar, juniper, fir cones, camphor and tobacco. This does not mean that should deter mosquitoes, Smoking cigarette after cigarette, but to think about the purchase of essential oils of juniper, or of Valerian is. A small oil burner to cleanse a room from mosquitoes for half an hour.